Newly diagnosed arthritis patients want to know their prognosis almost as soon as they hear the diagnosis. It's only natural that you want to know what will happen and what to expect years down the road. Osteoarthritis (OA), especially, is saddled with a certain amount of negativity: it's an old person's disease, and it just gets worse. How accurate is that, though? 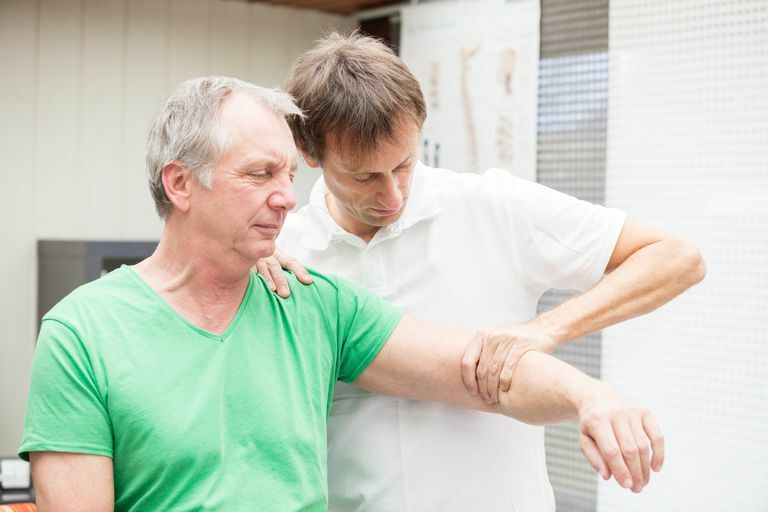 In reality, OA can occur in anyone with joint damage, it progresses rather slowly, and may be diagnosed as early as your 20s. Do All Osteoarthritis Patients Get Worse? Osteoarthritis is viewed by most people as a gradual wearing out of the joints – you could say it's slowly progressive. The most current research, though, indicates that not all osteoarthritis patients worsen; some actually stabilize. Rapidly progressive joint damage is not common in osteoarthritis. While about 40 percent of older people have x-ray evidence revealing significant osteoarthritis in their hips and knees, less than 5 percent will have joint replacement surgery. Based on that fact alone, osteoarthritis does not continue to worsen for most patients. What Happens as Osteoarthritis Develops? Most osteoarthritis cases do stabilize. A small number of osteoarthritis patients improve spontaneously. Osteoarthritis has active and less active phases. During the active phases, osteophytes form, the joint capsule thickens, the subchondral bone (the layer of bone under cartilage) changes, and there is cartilage loss. Even with x-ray evidence of OA during the different phases, a patient can still be free of osteoarthritis symptoms. The prognosis of osteoarthritis is not necessarily bad. Remember, too, that older people commonly have comorbidities (conditions that occur together). For a person with osteoarthritis, comorbidities may be more responsible for worsening disability than osteoarthritis itself. Osteoarthritis cannot be reversed, however, treatments are available. It is also possible that a few simple lifestyle changes can slow its progression and improve your personal prognosis. According to the American College of Rheumatology, losing just 10 pounds of weight over a 10-year period can reduce the chance of developing OA by up to 50 percent. They also recommend that if you are overweight and have been diagnosed with OA, daily exercise to keep and build strength and other weight loss strategies can help take pressure off your joints. In addition, it is recommended that you limit the amount of work the affected joints do. Simple things like raising the height of chairs you sit in and reducing the number of repetitive motions the joint does can make a significant impact. Assistive devices like walking with a cane can also improve the level of pain you feel. The overwhelming advice is to exercise, control your weight, and rest the joint. Beyond drug treatment for managing pain and reducing the swelling associated with OA, some people have also looked to dietary supplements. However, as noted by the National Center for Complementary and Integrative Health, there is no conclusive evidence that these work. Some preliminary evidence does show promise, but most of these alternative therapies still need more research to look into their safety and effectiveness. Bastik AN, Runhaar J, Belo JN, Bierma-Zeinstra SMA. Prognostic Factors for Progression of Clinical Osteoarthritis of the Knee: a Systematic Review of Observational Studies. Arthritis Research & Therapy. 2015;17:152. Dieppe P. Osteoarthritis: Course, Prognosis, and Outcome. In: Primer on the Rheumatic Diseases, ed. Klippel JH, Stone JH, Crofford LJ, White PH. 13th ed. New York, NY: Springer-Verlag;2008:227. Udel J. Osteoarthritis. American College of Rheumatology. 2017. National Center for Complementary and Integrative Health. 6 Things You Should Know About Dietary Supplements for Osteoarthritis. 2015.